Minimum quantity for "100% Recycled White 300gsm Deckle Single Creased Card" is 5. Minimum quantity for "Advocate Xtreme White 300gsm Deckle Single Creased Cards" is 5. Minimum quantity for "Advocate Xtreme White 330gsm Deckle Single Creased Cards" is 5. Minimum quantity for "Olin Smooth 300gsm Absolute White Deckle Single Creased Cards" is 5. Minimum quantity for "Olin Smooth 350gsm Absolute White Deckle Single Creased Cards" is 5. 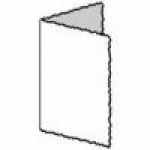 Minimum quantity for "Quality White Arco Card 250gsm Deckle Single Creased Cards" is 5. Minimum quantity for "Quality White Arco Card 300gsm Deckle Single Creased Cards" is 5.